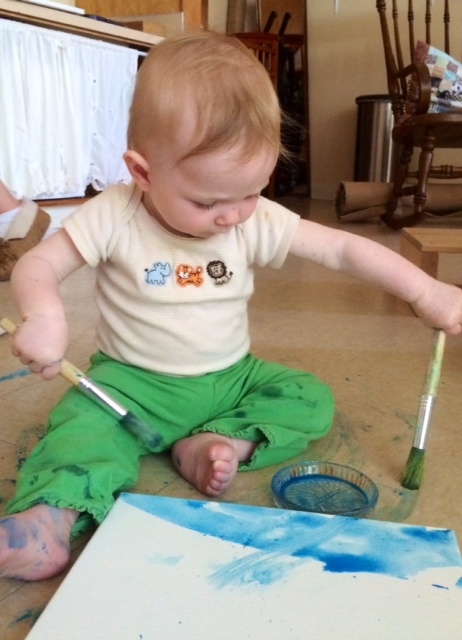 At Wild Lilac, we believe that infants are naturally curious and constantly learning. We offer a nurturing, stimulating and supportive environment for our youngest children to explore with simple materials and beautiful spaces that promote each child’s unique developmental process. The philosophy for our infant classroom is based on the principles of attachment theory and the work of Magda Gerber, founder of Resources for Infant Educarers (RIE). The RIE philosophy stresses the importance of respectful and responsive relationships between infant educators and children. Wild Lilac has low child to caregiver ratios and ensures that each infant has a primary caregiver. 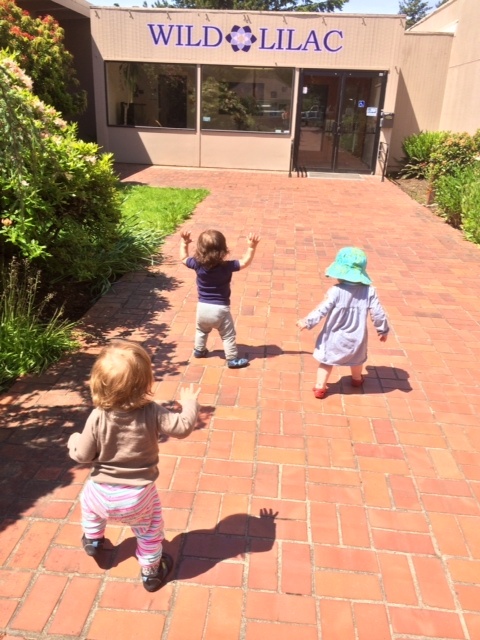 Wild Lilac also embraces a “continuity of care” model where infant-toddler teachers transition with their students throughout their first three years in our program. This allows children and families to build meaningful, long-term relationships with their teachers. Currently, our infant program consists of two classrooms, one for children ages six weeks to one year and the second for children ages twelve to twenty-four months. Our infant teachers have extensive knowledge about infant brain development and pay careful attention to the individual rhythms, developmental needs, and interests of each child. The rhythm of the children’s daily schedule is flexible and accommodates their natural eating, sleeping, and play cycles. Infants have the freedom to explore and interact with the other infants while also having the comfort of a “home base” in their caregiver. Our approach to infant care supports children in being competent, confident, inquisitive, aware, and compassionate human beings. Please view the Bluebell infant classroom blog here and the Tulip infant classroom blog here!